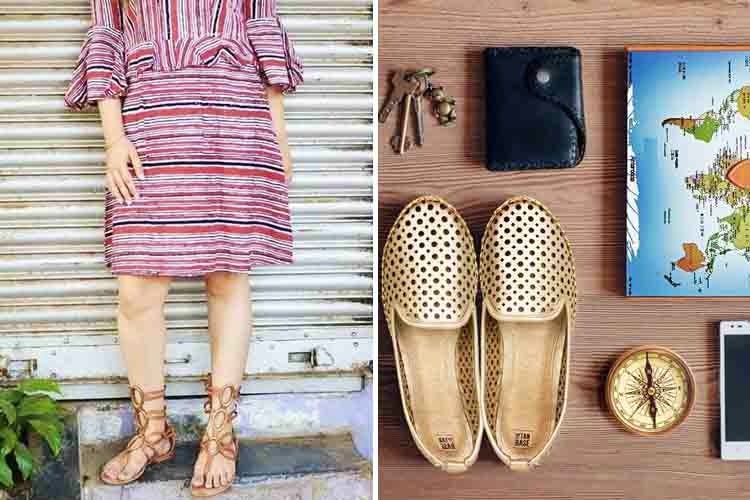 The Tan Base does all-leather slip-ons, cross-strap sandals and wedges, peep-toe sandals with sling-backs, and more. We’re also loving their strappy summer collection, full of whites and brights. With mostly flat shoes and sandals, The Tan Base includes casual slip-ons with metallic reptile prints, pointed slip-ons in snakeskin, cross-strap sandals, flats with a mirror finish, and even crystal-embellished flats and wedges. The overall feel of these shoes is quite effortless chic with the slip-ons for a casual look. We also have our eyes on the Agape Brown and Leni White, since these are the new heels on a list that is predominantly flats. The footwear at The Tan Base is for women who don’t find the need to try too hard to stand out. They have added some much-needed bling with the new collection, though. While the strappy pinks and golds are perfect for day wear, we recommend the Tania for working women who’re looking for prudent heels. Their heels aren't anything to write home about.